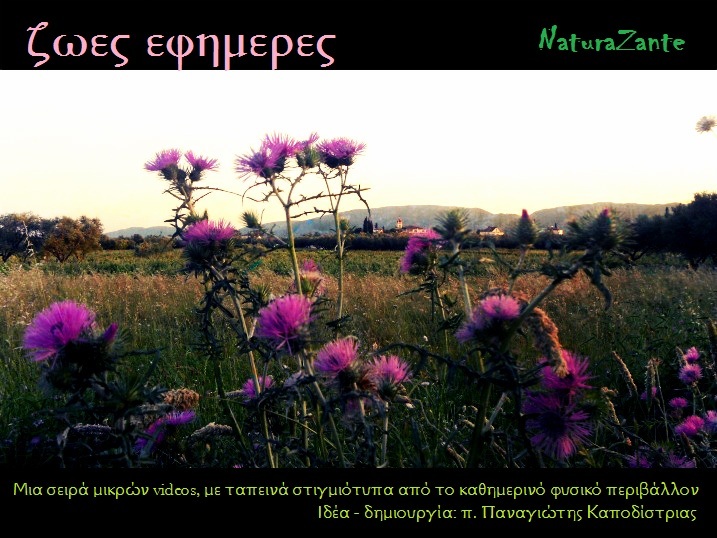 It is with sincere joy and profound paternal satisfaction that we address you, the esteemed facilitators, participants and staff of this unique initiative bearing the name, The Halki Ecological Institute. It is our fervent prayer and hope that this venture will indeed prove to be the seed of a fruitful cooperative effort for the preservation and improvement of the environment of the Black Sea. This beautiful sea, around which so many renowned ancient civilizations flourished, constituted a very useful channel of communication between peoples and cultures throughout the centuries. Even more so, it is also a biotope, a living habitat, which for thousands of years existed under balanced conditions that allowed for the preservation of life both under the waters and on the region’s surrounding shores; a life which was nourished by its natural recycling and which nourished its inhabitants as well. The linkage of the Black Sea with the Mediterranean via the Bosphorus also allowed the Mediterranean peoples to travel by sea to the North and, conversely, for those in the North to sail south. Even though there have been many military conflicts in this region, today we see that this mode of communication contributed to the cultural development of neighbouring peoples. By means of the mighty flowing rivers, in particular the Danube, the Black Sea allowed communication among the peoples living inland, thus constituting a centre of communication, the significance of which continues even until today. The fact that many rivers of Europe, Asia and Asia Minor flow into the Black Sea make it the recipient of the refuse settlement that these rivers deposit from sources that surround them and even those that are remote. Unfortunately, the description by Herodotus about the primeval belief in the sacredness of rivers that existed among certain peoples living by them – a belief imposed upon them for reasons of religious conviction, that they must not pollute the rivers – is not a generally accepted credo of humankind. To this we must also add rational behaviour, which refuses to respect the deeper and truer justification of such a principle and belief. The denial of that which is not rational, which in turn leads one to “reason” as the only criterion of truth, and having denied the pedagogical power of the myth with its higher rationality found hidden in its message, has led modern man to a short-sighted, selfish, and pettily opportunistic state. We experience the consequence of this state as a foretaste of our biological death, which unexpectedly comes upon us and for which we prepare ourselves by our own so-called rational energies, which are, in fact, foolish and irrational. The overproduction and over-consumption of toxic substances in both industry and agriculture – not to mention war – direct those substances that are non-degradable in an inert and harmless body of rainwater intended to cleanse the surface of the earth and for irrigation, into the recipients of the flowing waters of the rivers, that is, into the oceans. The Black Sea in this case, being relatively small in size, is the recipient of a disproportionate quantity of pollutants. As a result, it is constantly and intensely being overburdened even more so than are the great Pacific and Atlantic Oceans. Indeed, this apparently is due to the industrialization, the over-consumption, and the overall changes and condition of life in modern society. Even if these reasons, indeed, contribute to the pollution of the Black Sea, we insist on characterizing them as “apparent causes”, because we consider the “true cause” to be the destruction of that which is religious piety within the human heart over and against the evil that can be carried by the rivers. This piety which the ancient peoples had, referred to by Herodotus, elevated them to a level of spiritual civilization higher than our own inasmuch as we do not have the delicateness of feelings and the sensitivities of our responsibility in facing our fellow human beings which these ancestors possessed. Thus, this entrenches us behind the egotistical pretension that our higher logic does not allow us to accept the sacredness of a natural thing such as a river. In this, we prove ourselves to be foolish and incapable of thinking on a plane higher than our small-minded reason in order to understand that the sacredness of rivers and of all creation exists and is a given, just as is the sacredness of the human person which nature, itself, is ordained to serve. All that was created “good” by the All-Good Creator participates in the sacredness of its Creator. Conversely, disrespect toward it is disrespect toward the Creator inasmuch as the arrogant destruction of a work of art is an insult to the artist who created it. Consequently, if we desire to improve the situation, we must restore in the hearts of the members of our society the sensitivity that was held in the hearts of our ancestors, whom Herodotus mentions. In other words, we must restore respect to the truly existing sanctity of life, which is in peril because of our short-sighted and egotistical polluting actions. The riparian people are so numerous and so greatly dispersed, even among many nations, that there is no possibility of fully monitoring them. The successful method of avoiding river pollution, a method discovered by the early ancestors of Herodotus, not as a useful lie but as a most profound truth, is denied and rejected by some of us modern demythologizers and intellectualists as confusing the supernatural with the uni-dimensional nature of the world, according to our deluded perception. The result is that we have allowed human individualism to act in a very short-sighted way, in as much as the transferral of pollution far away from us satisfies us, and we feel secure. Yet, we do not consider the fact that we are thus setting into motion a vicious circle of a mutual transferral of pollution and a vain struggle of repression and healing, where in fact only prevention can save the situation. Such prevention can only be achieved if all members of society regard it as their moral and above all their religious obligation not to cast their wastes upon other fellow human beings. This is understood and socially accepted as an obligation of life. Yet it must be expanded also to our broader economic and bio-mechanic moral conduct. We are therefore obliged to recall the concept and the ontological acceptance of the sacred in our daily life, and especially wherever we would not otherwise recognize its place, namely in our commercial and professional activity. This is also the reason why the Ecumenical Patriarchate, which has a purely religious mission, is mobilizing and sometimes initiating efforts for the protection of the environment, which at first glance seem to refer only to the material world. However, this superficial evaluation is not true, because on the one hand the protection of the environment is not for us a mere worship of nature; it is not the adoration of creation, but the veneration of the Creator. On the other hand it is an invitation for all of us to accept the sacred and the holy in our life. 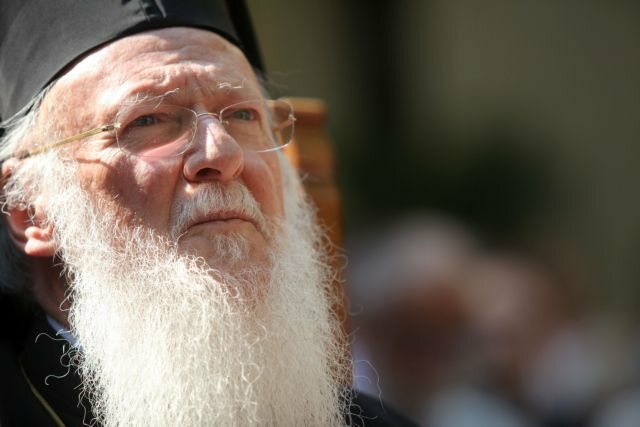 In this sense, all of our theologians and clergy, who have recently admired the beauty and diversity of our natural environment, must become conscious of the fact and convey the message that the life of our faithful should not be exhausted in individual morality, but should be extended out of love to the avoidance of those long-term consequences, which may harm our fellow human beings who live hundreds of miles from us. Our Lord has taught us that our righteousness must exceed the righteousness of the scribes and the Pharisees, or, at least that of those whom Herodotus referred to as the ancient Persians, who neither spat nor washed their hands in the river, and who also encouraged others to do likewise, out of great respect for the rivers (Cleio, par. 138). 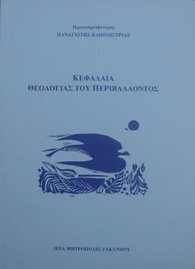 We are certain that the “Halki Ecological Institute” will offer you the opportunity and the motivation to study more deeply not only the technical and humanitarian parameters of the problem of the pollution of the Black Sea and every other natural environment, but also its Christian and theological perspective. This will enable you to become interested and more deeply conscious of your mission to work with love and piety, and to cooperate with each person dealing with the subject of the environment, for its protection from actions that create pollution and destroy the environment. This sensitisation of ourselves and of those around us, especially those who direct the great pollutants, together with the voluntary avoidance of ecologically destructive lifestyles by members of our society, and their influence over those who do not accordingly conform, constitutes the most fruitful way of environmental correction and of revival for the Black Sea and every burdened ecosystem. We repeat once again from this position our invitation to all of you – to the Orthodox and other Churches, and to the religious leaders of the faiths in the neighbouring region, as well as in the depths of Europe, Asia, and Asia Minor, from where rivers transfer pollution and especially toxic wastes into the Black Sea – to convey to all peoples the need to raise their awareness about such pollution, to the level at least of those people who some 2,500 years ago would not even wash their hands in the rivers. We thank all those who are mobilized together with us for the reintroduction of the sense of sacredness as the guideline for our life, as well as all those who from whatever position carry in the struggle for the preservation of life in the Black Sea, thereby contributing to and assisting our neighbouring peoples. We congratulate all of you who responded to our invitation through your participation and contribution to the success of the deliberations of this Institute. Its success is due to you all, and to the commendable and generous sponsorship of the most honourable benefactor and Archon of the Holy and Great Church of Christ, Mr. Theodoros Papalexopoulos, whom we thank personally for his tireless contribution and work. We are certain that this opportunity is the beginning of significant way and inspiration, which you will be led by the Creator to continue in your countries so that you may protect the beautiful environment that was created by Him, and challenge other people as well to accept this obligation as a divine command, given for the sake of humanity.